Californians love their critters. And they showed it again on Election Day by banning the sale of pork, eggs or veal from animals confined in tight cages. Voters approved statewide Proposition 12 by a healthy margin of 61 to 39 percent. The measure applies to animals in California, and those raised elsewhere for products sold in the Golden State. Didn't We Already Vote on Cage-Free Conditions? Residents may have experienced a little déjà vu when they cast their vote for Proposition 12. Back in 2008, voters overwhelmingly passed a strikingly similar animal welfare law. It won by 63-37 percent, losing in Central Valley farm counties, but passing in Los Angeles and Bay Area urban communities by as much as 70 percent or more. The decade-old Proposition 2 promised to give animals enough room to stand up, sit down, turn around and extend their limbs or wings. But some farmers argued the measure's language was too vague to interpret in practical terms so they challenged the measure in court. 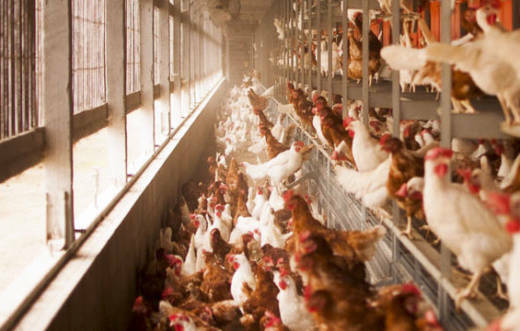 Eventually, state agriculture officials ruled that farmers could comply with the law without getting rid of their cages, as long as they provided more space within them. To end confinement altogether, the Humane Society sponsored Proposition 12, which requires each farm animal has a specific amount of floor space. Beginning in 2020, a veal calf must receive 43 square feet, 24 square feet for a breeding pig, and 1 square foot for an egg-laying hen. Cage-free conditions will be mandatory for hens by 2022. The Association of California Egg Farmers and the National Pork Producers Council opposed Proposition 12 primarily because the measure applies to all veal, pork and eggs sold in California, even when the animals are raised in other states. Opponents predict Proposition 12 will lead to higher prices for consumers. The National Pork Producers Council says the industry will have to spend billions on new facilities, costs that will likely trickle down to pork consumers. Economists, though, say it’s tough to forecast exact price increases. It is easier to predict egg prices, as cage-free eggs are already on store shelves. They are usually priced about 50 cents to a dollar more per dozen than conventional eggs. “The concern for the people investing in these new standards is that it’s not at all clear that they're going to last very long,” says Sumner. In fact, animal welfare groups such as People for the Ethical Treatment of Animals opposed Proposition 12. PETA says the measure doesn’t go far enough to protect chickens, which still can be confined in barns if it passes. So, the battle over how much space farm animals deserve is likely not over.